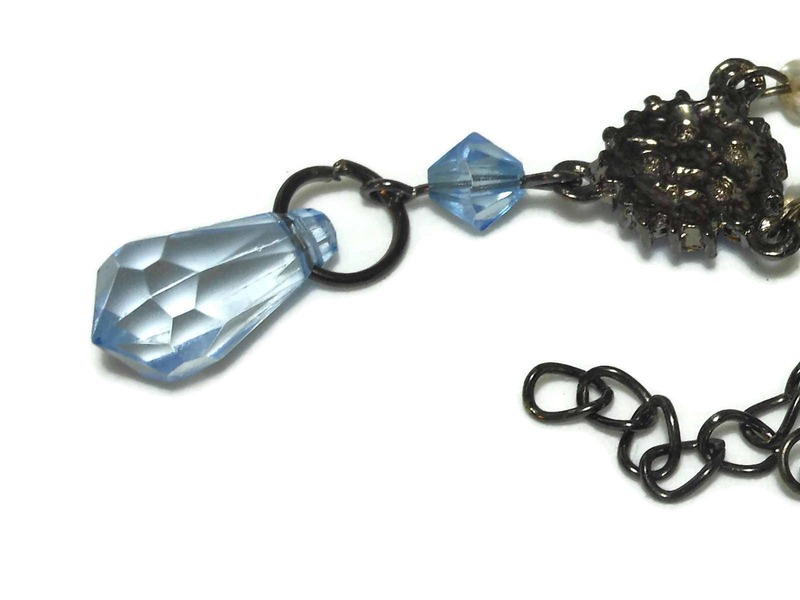 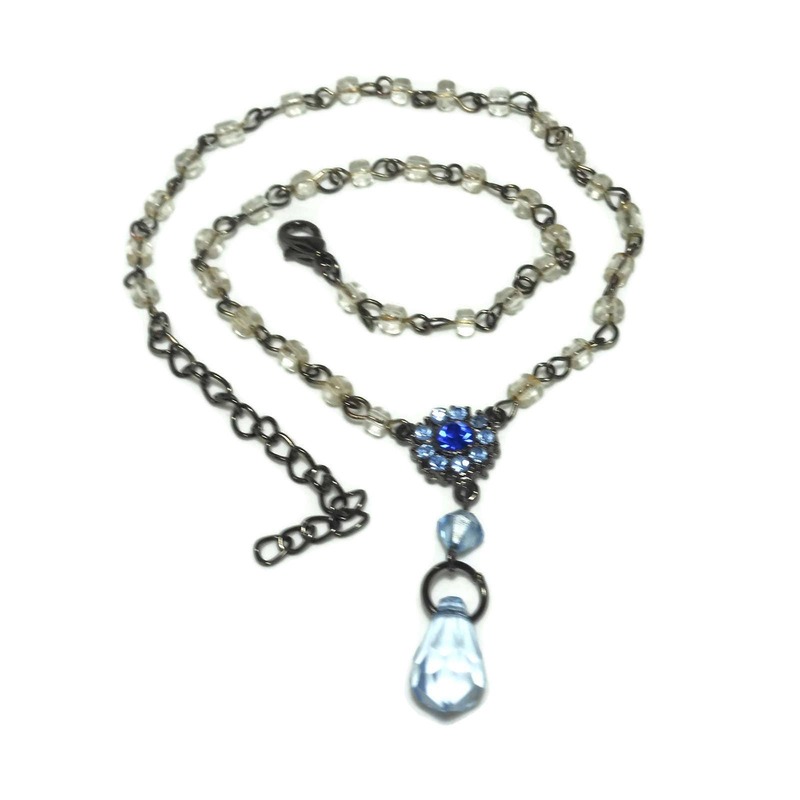 Blue crystal necklace, up-cycled vintage glass beads and rhinestone center, blue Swarovski crystal bead and briolette, gunmetal chain. 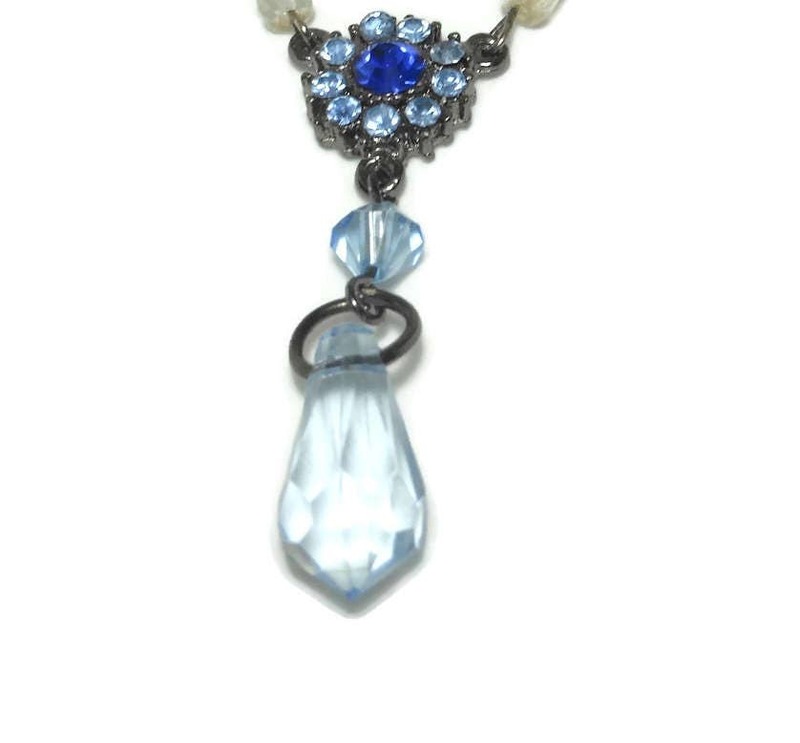 Perfect for something old, something new, something blue for a wedding! 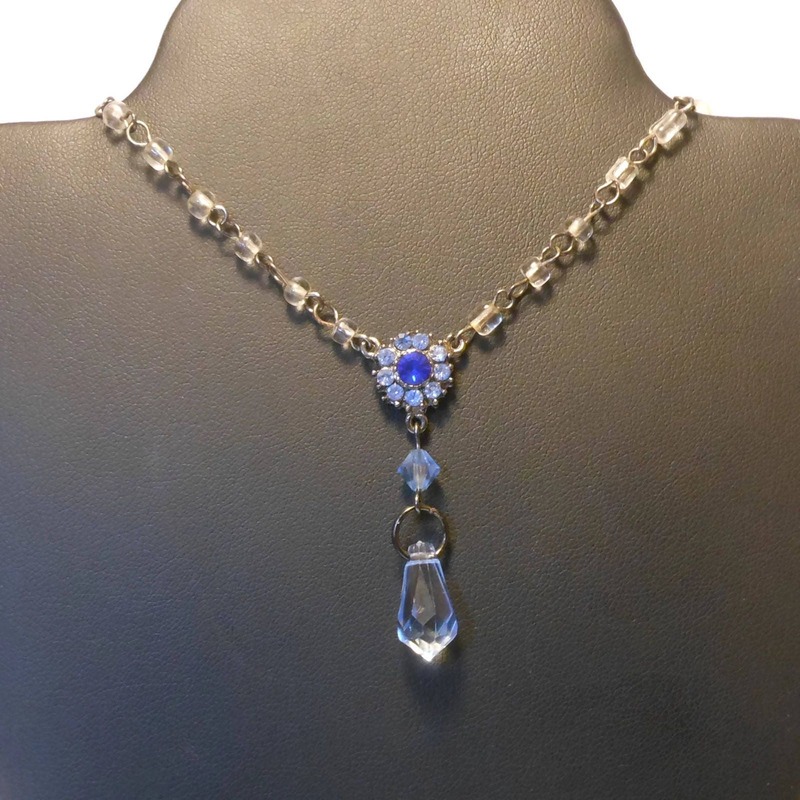 Wonderful for evening wear or prom.